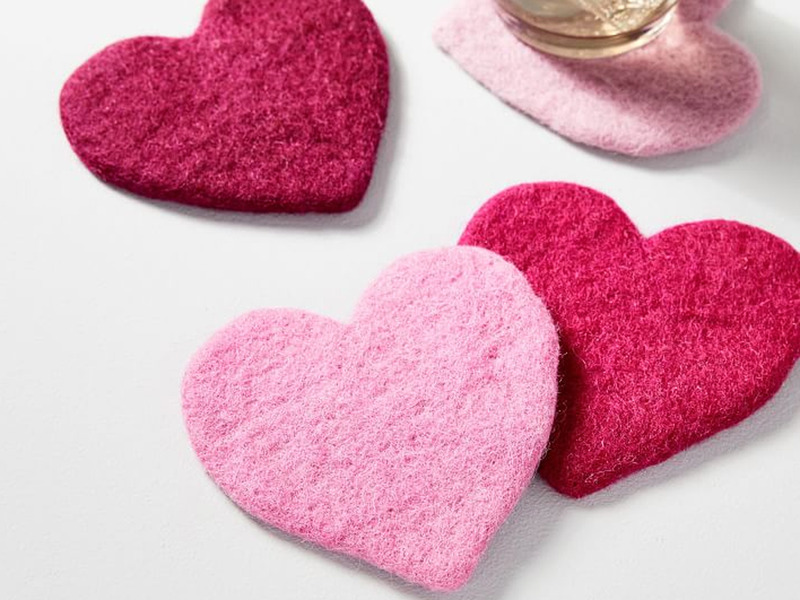 West Elm These felt coasters are a heartfelt gift - literally. Today, it seems Valentine's Day is synonymous with fancy dinners, giant teddy bears, Hallmark cards, and chocolate - lots of chocolate. That's all well and good, but at the core of it, Valentine's Day is about showing the people you love that you care about about them - and you don't have to spend a lot of money to do that. To save you the shopping stress, we scoured the web to find 50 great Valentine's Day gifts. Whether you're shopping for your girlfriend, husband, new fling, or your best friend, this list has something for everyone. The best part is they're all under $25 - and your recipient will love them.